Want to learn more about Jordan Davis? Check out five questions with the Louisiana native, including his favorite pizza topping, who would play him in a movie and one of the items on his bucket list. Click HERE! 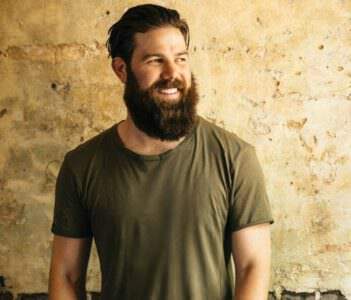 Although many people may not have heard of Jordan Davis just yet, the country singer/songwriter is about to blow up all over the map in his adapted genre. With songwriting licks like that of classic rock musicians in the 60s and 70s and a sound as modern as artists like Lady Antebellum or Zac Brown Band, Davis experiments with toeing the line on his rock-country-pop sound he embodies throughout each of his tracks. His latest single, “Singles You Up,” defines his sound with the jamming guitar and heavy drums sitting below witty lyrics that keep listeners on their toes. Rather than wait around for Davis’ shining moment, Sounds Like Nashville thought we’d get new fans ahead of the curve with five things anyone should know about the country up-and-comer. Click HERE to read more about Jordan Davis.